We have no excuse these days for being uninformed. Google gives us access to any topic under the sun. In just a few keystrokes, we can find out where, how, and under what conditions our favorite companies manufacture our clothing. But the answers aren’t always pretty. The documentary The True Cost on Netflix puts the spotlight on the garment industry around the world and makes us think about who is really paying the price for our fast fashion. The cost of clothing has come down over the years but the toll on the workers and the environment has grown exponentially. We can make a difference by supporting ethical clothing brands whenever possible. 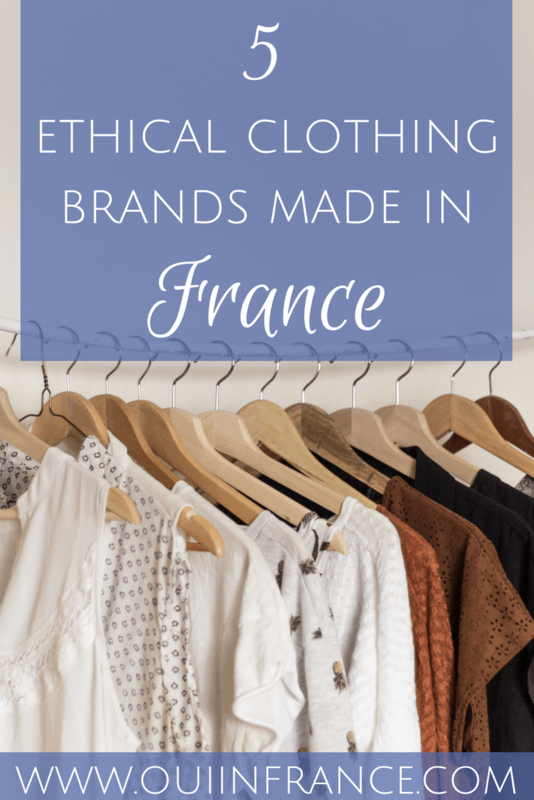 There’s no shortage of companies doing good in the world so let me share a few ethical clothing brands in France that are worth a look. I shamefully admit I never gave much thought to where my clothes were being produced. I’m not even sure I knew what ethical style even was. We, as consumers, are so far removed from the actual work that goes into our $20 sweater made in Bangladesh that it’s difficult to imagine the lives of the people working tirelessly to stitch the clothes we put on our backs. As we become more informed about the world we live in, it’s only natural for our priorities to shift. One of mine in recent years is my shopping habits. I’m not a minimalist but I’m not into fast fashion either. Most pieces in my closet have been there for years. My job no longer requires dressing in the latest trends and having new looks every month and that’s most definitely a good thing. Many of my favorite t-shirts and sweaters are years old and I don’t care if I’m not rocking the latest fashion trend. The money I do spend is spent thoughtfully. For me personally, I feel my best when I like what I’m wearing. Maybe that’s the cut or fit of the garment, or even just a fun color, but these days, I feel increasingly good about wearing clothing that I know is ethically and sustainably made. I started a little at a time with some organic t-shirts and socks. 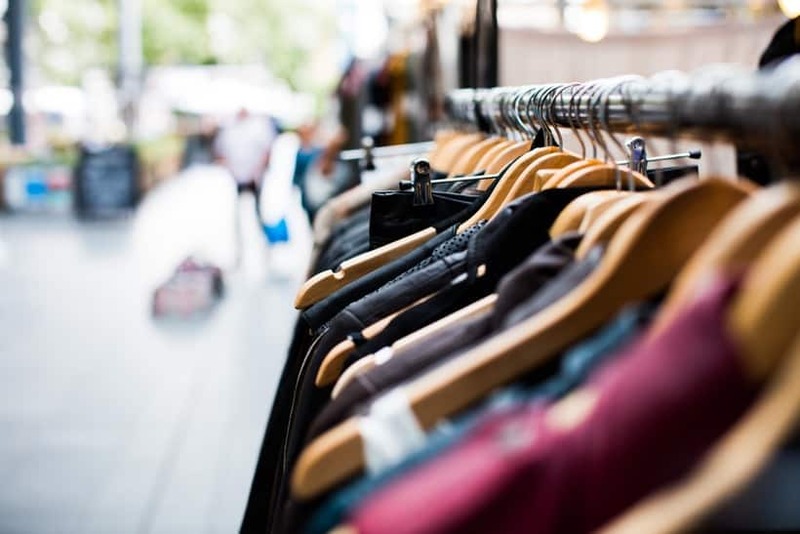 Yes, clothing that’s produced ethically costs more than the latest fast fashion from H&M or Forever 21, but generally eco-friendly clothing is better quality and will last longer, not to mention it’s a better choice for all involved. But I know it’s not always easy to buy from ethical clothes brands. In fact, I rarely buy new clothes and don’t have a big clothing budget, but when I do, I try to make smart choices. It’s something that’s become increasingly important to me. For affordable ethical clothing online, I’ve mentioned the brand Everlane here many times and stand behind them 100%. They are an affordable ethical clothing brand that’s transparent about where their materials are sourced and how/where their clothing is made. I feel good wearing their t-shirts and sweaters and toting their bags. Another affordable organic clothing brand I love available in the USA is Pact. They make organic cotton clothing — sweatshop and child labor-free — and you can get 20% off with my link here. For comfy basics, they’re the best. Ambrym is the creative French brand from Gabrielle Ambrym that blends inspiration from Paris, Rio, and New York into one. The avant-garde brand is all about “creat[ing] the universe of a humanist, poetic urban tribe.” Their emphasis is on sustainable fabrics and each piece is produced in a small French workshop complete with an identity card that lists its place of birth along with the date. This ethical French fashion brand was born in 2003 out of the need to respect nature and our fellow human beings. Ekyog‘s manifesto is about looking good, feeling good, and doing good. They use natural, organic materials to create fashion that’s good for the soul, and above all, feminine. 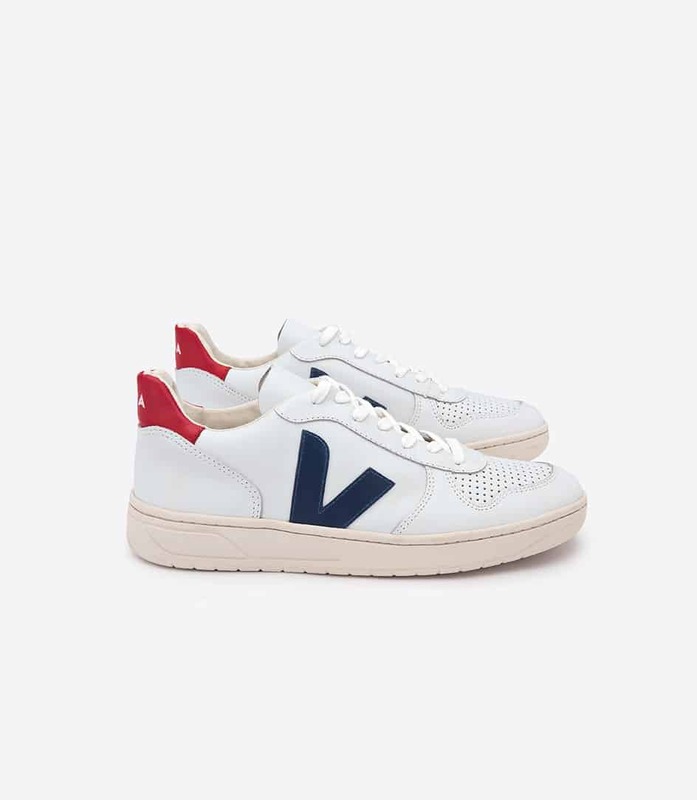 For ecological footwear and accessories, Veja is where it’s at. They even have vegan shoes. One of my faves is the the V-10 model pictured above that was launched to celebrate the brand’s 10-year anniversary in 2016. It’s unisex and made out of sustainable materials. 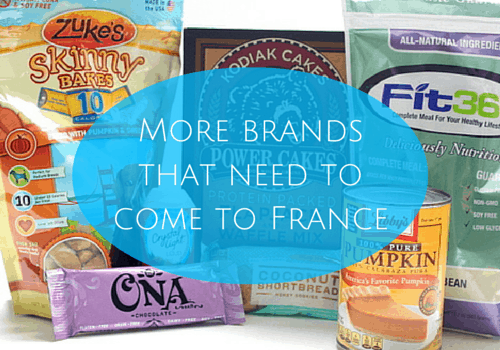 Their headquarters is in Paris but over 150 retailers worldwide stock their wares. Post Diem, created by two French women Emilie and Jessica, is a casual yet refined brand with their first organic collection debuting in 2013. 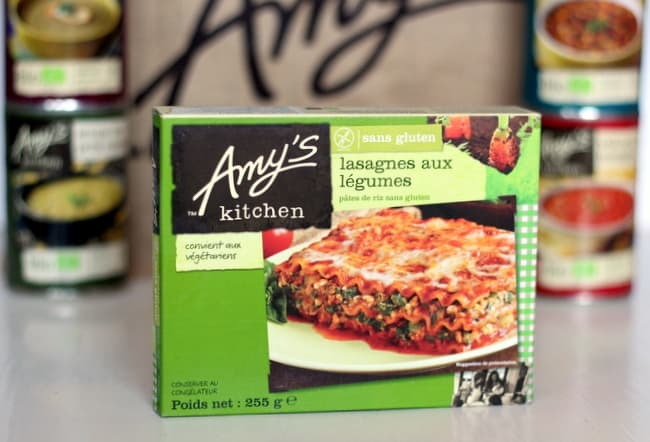 The high-quality brand features garments that are made entirely in France from organic and recycled materials. Post Diem means “the day after” in Latin and the brand mixes together Mediterranean influences that show up in details like patterns and stitching. P.S. 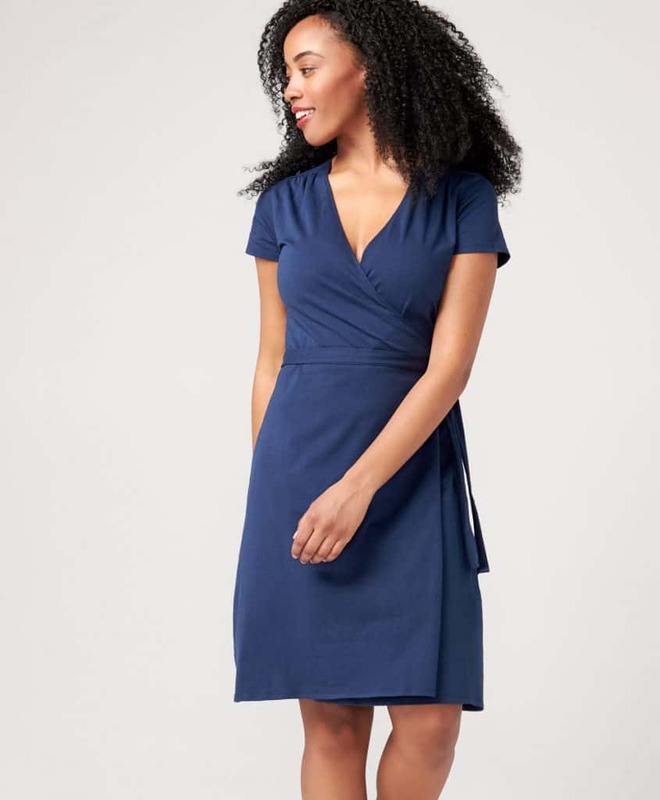 That dress above is 1) reversible and 2) ON SALE! Founded by three guy friends in 2008, Picture Organic Clothing offers bold outdoor performance wear for men and women and uses only organic, recycled and bio-sourced materials. Gear up for snowboarding, surfing, skiing, and everyday casual outings while feeling good about supporting a company that puts the focus on the environment. How important is eco-friendly clothes shopping to you? What are some of your favorite places to buy ethical clothing online? I am thankful that I can sew many of my clothes, and that I can get my fabric from several companies that produce their own in the US/UK. At least it’s my labor and time in great working conditions. Of course, not everyone has the time to do that, but to me it’s worth it. Not to mention that probably no one else will be wearing the same garment in the same fabric as mine. Those are some nice-looking clothes on the sites you mentioned, though! Thanks for the info. Wow… It’s so beautiful. You looks like awesome. 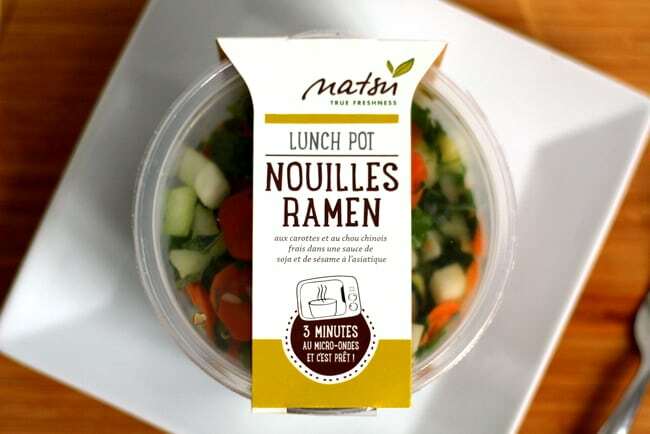 I love this brands. Thanks for sharing valuable information.